In the last few years, the drive for fitness around the world has reached peak levels - a trend manifesting across the UAE in the form of numerous initiatives and start-ups to get the community active. Fitness is a lifestyle. And it's not one size fits all. There is, however, something for everyone. Whether you're a gym rat or into calisthenics, whether you're unafraid to push your boundaries or prefer something lighter and less intense, the UAE offers a multitude of ways to help you torch those calories and shape up. What kind of fit freak can you be? Take a look. Have you ever observed acro yogis at play? They draw you right in and make you want to participate! Acro yoga is a multi-skilled practice involving a combination of yoga, therapeutics, acrobatics - and tons of laughter, as you develop your 'acro legs'. Whether you're a beginner or moving up in your practice, it's a play-safe environment, where you develop skills in many areas: balance, body mechanics, breathing, patience, trust, positive communication and more. You don't have to be a specific shape or size to practise either - this one's for everyone, so no excuses: pick up your yoga mat and go! There's cycling, and then there's VR-cycling. Journey through digitally-created worlds as you burn some serious calories with this 40-minute, multi-peak cycling workout. THE TRIP is a fully immersive workout launched for the first time ever in the UAE by global fitness brand Les Mills. It pushes for maximum performance in minimum time, helping you build lean muscle and training your body to burn calories for hours after you're done. The best part is that its immersive qualities can mask how hard you're working, allowing you to work harder for longer! Looking for a high-energy workout to torch those calories? PRAMA will definitely fit that bill. Or if you're looking for something that's kinder on your joints and muscles, yet improves your cardiovascular fitness, there's Aquaspin. Both fitness options are available at Fairmont The Palm! PRAMA is a circuit-based workout that uses spatial references on the floor and walls to quickly improve muscle memory, endurance, balance, agility, and more. Aquaspin involves state-of-the-art spin bikes submerged inside the water that is extraordinarily rewarding when it comes to burning those extra kilos. Often billed as the ultimate body toning experience, FlyBarre has gained much popularity of late for its combination of light weights and high repetitions of movements to achieve a full body workout. High on energy, you'll find it quickly tones and strengthens your arms, core, thighs and glutes (aren't those our key problem areas!). The best part? It's absolutely free! The fitness classes are part of MOE Active (there's FlyWheel, Mall Walkers and Mall Circuits on offer too, so you can vary up your routine). Classes are quite popular, so make sure you pre-register to book your mat or spot for each class! 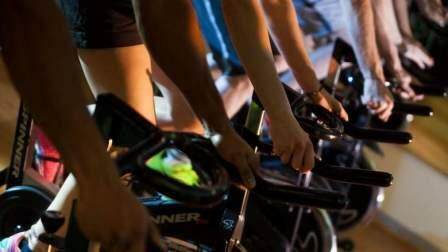 Neither a traditional spinning bike or a stationary indoor bike, Wattbiking replicates the 'real' sensation of cycling on a road while measuring your performance with precision! Now available at Fitness First, this form of biking is suitable for everyone from children to professional cyclists. Heart rates are displayed on the consoles, and all data from your sessions are saved. These can then be printed or downloaded to a USB, allowing you to track your progress by comparing results with previous training sessions. Happy pedalling! You probably did it for fun as a kid - but why stop there? Certainly not when everyone from Michelle Obama to Beyoncé has sworn by the benefits of hooping as an adult. From classes and workshops to communal jams, Flowground will teach you how to work your core, and improve overall balance and flexibility. If you don't care to hit the gym but don't care for that wobbly tum either, here's your chance to shave centimetres off your waistline and have loads of fun doing it! Don't have a hoop? You can buy them on site. Well-known as an excellent form of stress release and martial arts training, kickboxing can help you improve strength, aerobic fitness and flexibility. Professional MMA fighter Rafat Shawe is a former international karate gold medalist, so you can rest assured you'll be in good hands in his class! The variety of movements taught can help you sharpen your reflexes and improve co-ordination and balance. What's more, you can expect to burn at least 600 calories during a typical kickboxing class. Time to teach yourself some self-defence! Intense and vigorous may not be terms that pop to mind first when you think of yoga - but with the scores of variations on this popular fitness routine, you shouldn't be surprised that yoga too can help you work up a real sweat! Based on a vinyasa-style, power yoga focuses on building strength and stamina, requiring you to move rather quickly through the poses. It also improves flexibility, while strengthening your muscles and joints. Newbies may find it challenging - this is a style preferred by yogis looking to 'up their game' - but Yoga Ashram encourages first-timers too! Hand Balance class, as the name implies, is a course designed to teach you the art of balancing on your hands. If you haven't been living under a rock for the past three years, you'll have noticed the surge in adult gymnastics, especially on social media. Balancing on one's hands requires the entire body to work in synergy. The core, shoulders, and wrists do most of the heavy lifting, but the act of balancing is a refined, elegant, all-encompassing challenge; midway through class you may even think to yourself: never have I worked so hard to effectively do nothing. The class is open to men and women of all fitness levels - but bring your bravery and a sense of humour, because the instructor, Sven, is infamous for taking you far outside your comfort zone. Good news though: chances are high you may fall in love with your new, wilder, hand-balancing self. You've seen these daredevils, jumping off rooftops, vaulting walls, rolling across surfaces... Parkour is the ability to navigate one's environment using 'intelligent movement'. Learn about the anatomy of movement, discover abilities you never thought you had (but always wished you did!) or use it to increase endurance and agility. However you choose to go, this is a fitness pursuit that will help you build confidence, and equip you with a brand-new way of approaching obstacles and challenges. And no, this one's not just for the physically fit. Sign up for their adult beginners' classes - or if you prefer, the women-only sessions. They even have parkour for kids - with trainers to help youngsters explore their environment in a fun, engaging way!